Have you ever been intimidated by cables? Don’t get me wrong, I totally love them. I love how they look. I love knitting them. But when it came to knitting them into a hat, the thought of figuring out the decreases was just too much, so I never did. 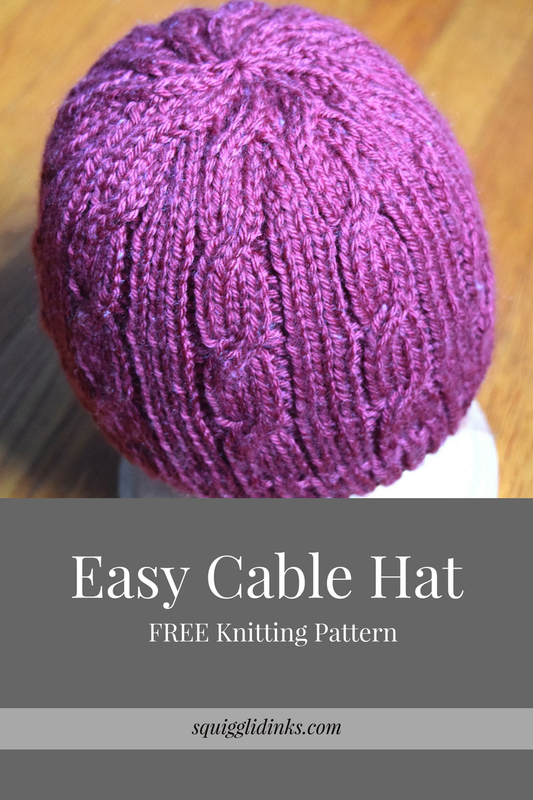 Then one of my pattern testers for the most versatile hat pattern (available for free if you sign up for my email newsletter) mentioned trying a cable version. I thought I saw the same hesitation in her that I felt myself. I decided that I needed to try it, to dive right in and work it out, and then to share the pattern. And you know what? After the initial math, it wasn’t as hard as I thought. Here’s the pattern so you can try it too. This pattern is also available as an inexpensive, ad-free, printable PDF file. 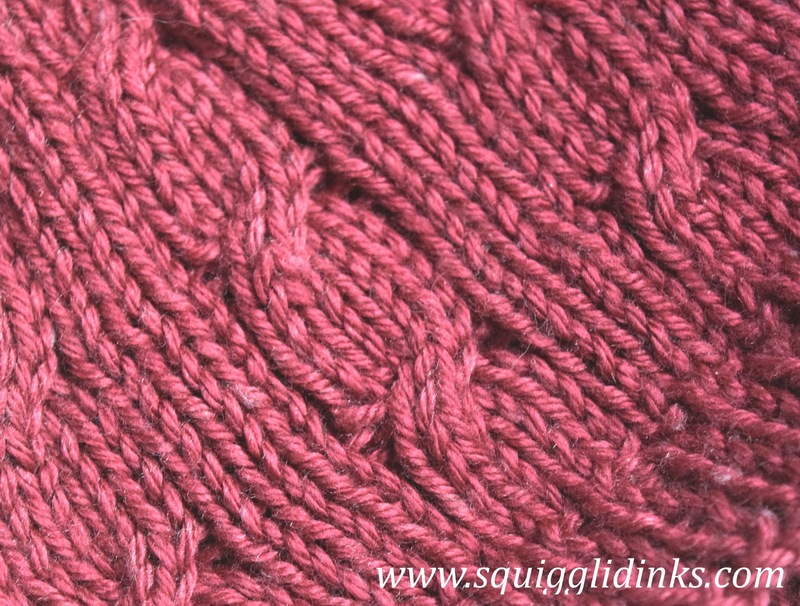 How to “cable 4” – Slip two stitches from the left needle onto a cable needle or dpn; hold in back of work. Knit next two stitches. 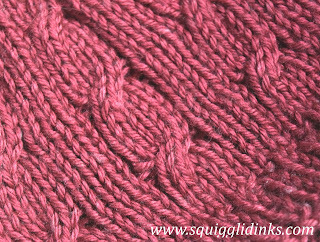 Knit stitches from cable needle. CO 72 (82, 90, 100, 108) sts. Place marker at the beginning of the row. Repeat these 8 rows 1 (1, 2, 2, 3) more time(s), so that you have a total of 2 (2, 3, 3, 4) cable twists. Switch to using double pointed needles whenever you have too few stitches to continue on circular needles. Cut yarn 6 inches from needles. Thread tail through stitches on needles; pull snug. Finish by sewing ends under. 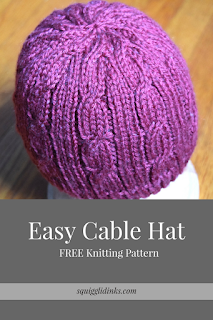 Have you ever tried knitting something that seemed too complicated at first? How did it go? I’d love to hear your thoughts on the pattern – tell me in the comments!